Hey guys! I'm organising my first HUGE giveaway for my beauty blog(yeah, my first huge one) to thank you guys for the consistent suppost ever since I started Dreams of a Beauty-a-holic few months ago. And it is REALLLY amazing to see 15 followers for my new beauty blog, a huge encouragement for me to do more beauty reviews and that means...MORE GIVEAWAYS! I hope that there would be more beauty junkies(I'm one of them) reading my blog and enjoying my reviews and event posts. The mystery gift might be something from MAC or something on the shelves of Sephora. I assure you that there will be definitely more giveaways coming up in the upcoming days and months. Here's now to enter the giveaway; you can enter as many times as you wish(max 2 per day) and between 7 July 2011 to 7 August 2011. This entitles you to one entry for the giveaway. 2. By sharing this post on your FaceBook page. This entitles you to three entries for the giveaway. 3. Do a short blog post about this giveaway. 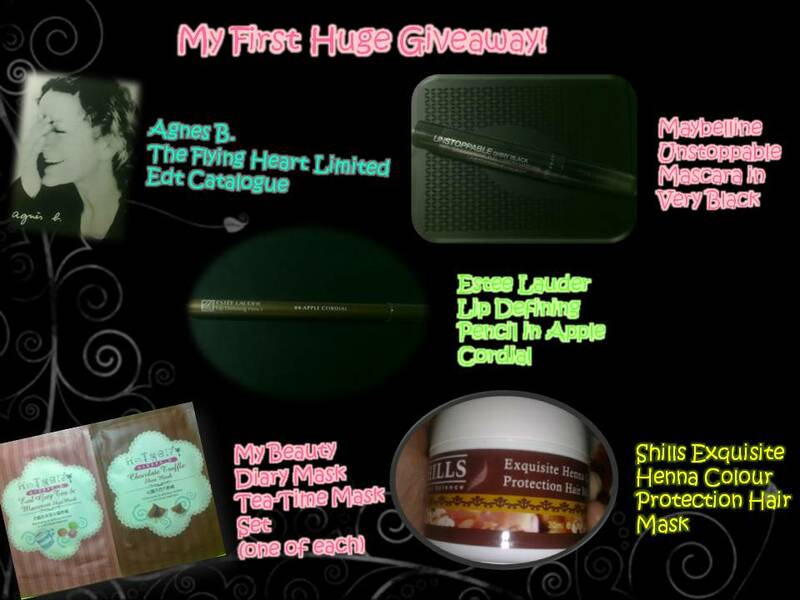 Each blog post entitles you to five entries for the giveaway. 4. You must be able to collect the prize personally(from myself) at Bugis MRT during weekdays. 5. 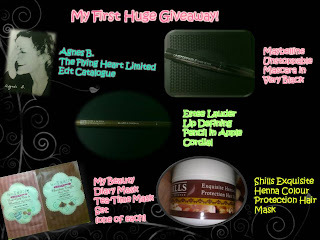 This giveaway is only valid in Singapore and the deadline would be 7 August 2011, 2359. After sharing the link, please do a printscreen to me via email at cheryl_forgottened@ymail.com. If you have done up a short blog post, kindly send me your blog link. Do include your Google Friend Connect username in the email! Wishing you guys the best of luck and enjoy my upcoming reviews, including Maybelline HyperSharp Eyeliner and Kiehl's Amino Acid Shampoo!